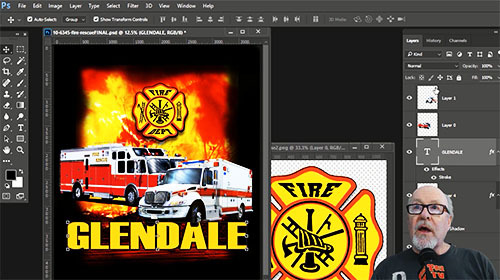 This course covers basic to advanced techniques on how to use Adobe Photoshop to create T-Shirt graphics. You will learn how to use the key features that artists use every day to create image for print or for color separations. Read the full curriculum for all the details. There are 24 short videos! When you are done with this course you will feel very comfortable using Photoshop. Whether you are a new user - no experience necessary - or a seasoned veteran - there is something in this course for you. This course is fantastic. It covers everything needed to process art with Photoshop. The instruction is clear and complete. I believe it better than attending a live class because you can pause or replay sections of the session.